Did you know that Grandparents Day is just around the corner? Grandparents Day is always celebrated on the first Sunday after Labor Day which is almost here. Aside from spending time with their loved ones, there's really nothing a grandparent enjoys more than receiving something handmade (or sewn..) by a loved one. 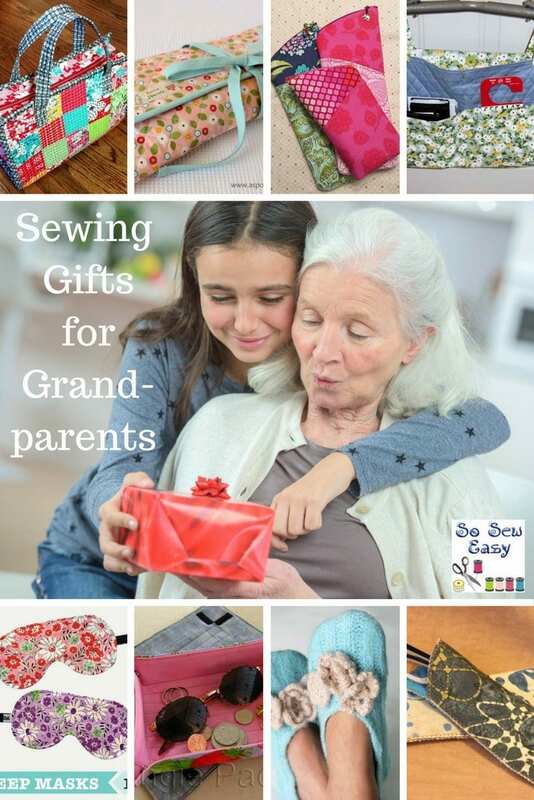 If you're still in need of a gift for your grandparent, I decided to put together a long list of free sewing projects and patterns to give you some ideas.